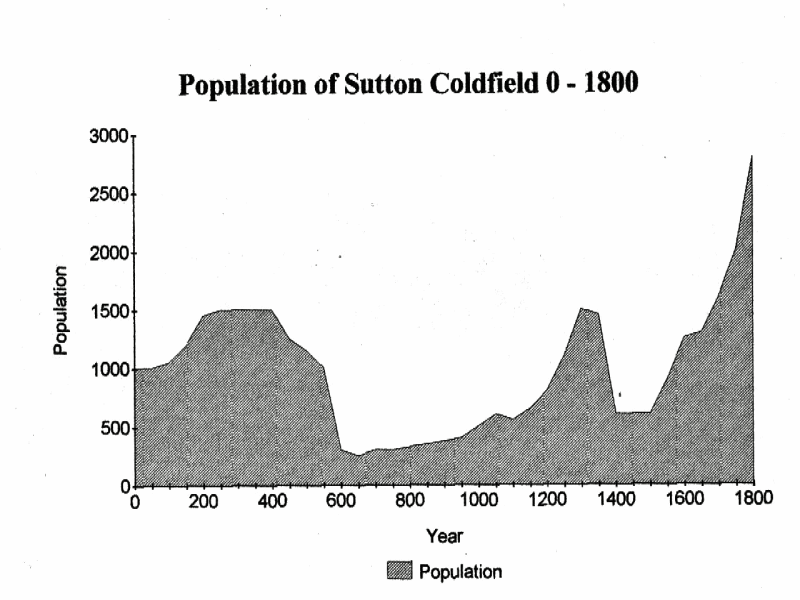 The early population history of Sutton Coldfield (from about 3,000 BC) is a story of gradual growth to a figure of about 1,500 followed by a sudden decline. Although Sutton Coldfield as an administrative area did not exist in Roman Britain, the area later known as Sutton was quite intensively farmed in order to produce the surpluses which helped to feed the occupying Roman Army and the Roman civil service, surpluses which contributed to the substantial grain exports from England to the Continent, and paid the heavy taxes imposed by the Roman Empire. A population of about 1,500 would be needed to farm the land. With the cessation of Roman rule in the fifth century the market for surplus products collapsed, Roman settlements were abandoned, and tribal wars and civil unrest resulted in population decline. The extreme global weather of AD 535-6, sometimes attributed to the explosion of the Indonesian volcano Krakatoa in AD 535, resulted in a year with no sunshine leading to crop failure and starvation, while a great plague in 549 reduced the population of the Sutton Coldfield area still further to well below 100, and possibly left it completely deserted. The area was colonised by Anglo-Saxon immigrants by AD 600, and the population gradually grew over the next centuries by natural increase, possibly augmented by further immigration. At the time of the Norman Conquest, 1066, there were about 500 people living in a hundred households. Over the next three centuries Sutton’s population growth kept pace with the national trend, so the growth was due to natural increase rather than migration. The catastrophic collapse caused by the Black Death coupled with crop failures and other outbreaks of plague saw the population decline from 1,500 in AD 1340 to 500 or less in AD 1400. Most of the figures given so far are pure conjecture, except that a population of 1,500 is deduced from records that show that there were 69 taxpayers in AD 1327, when the tax only applied to less than 5% of the population, and 126 families are named in a court roll of 1416 - if there were four to a household, this gives 504. Nationally, population remained static throughout the fifteenth century, and Sutton may have seen a slight decline. 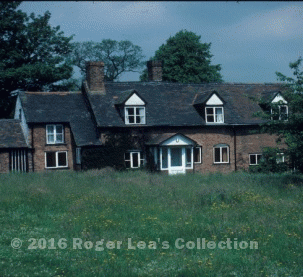 Migration in and out of Sutton continued,- in 1416 the court records show that there were eight newcomers, probably men from nearby who had married Sutton women, and five who left Sutton, perhaps to settle in the parish of their wives. By the end of the sixteenth century there were nearly 1,500 people living in Sutton. This dramatic increase from 500 at the beginning of the century was partly due to immigration. Bishop Vesey’s benefactions to the town in the 1520s and 1530s made it attractive to newcomers; more actively, he built houses here for his poor kinsfolk, imported weavers from Honeybourne in Worcestershire to try to establish the trade here, and at Moor Hall he lived in style with a retinue of 140 men in red coats. Nationally, the increasing population resulted in the displacement of many working class families who wandered the country looking for somewhere to live. Sutton’s very extensive commons presented such people with an opportunity, and by the year 1600 there were over 100 squatter’s houses on the Sutton common lands.